Yikes….I keep loosing this page and having to re-enter it, which is why I should never be messing around with the website. Anyway, this page offers nine bags of 5 strippers (or baitcasting guides) from our Lyon & Coulson collection. Pair these bad boys with our retro trigger seat hardware sets, L&C large bore cork rings, and other vintage components to make a fabulous, classic looking bait casting rod. MOST (but not all) of these guides are about 10.5mm to 11mm OD. A few bags may have a guide or two that is slightly lager. You’ve been warned. 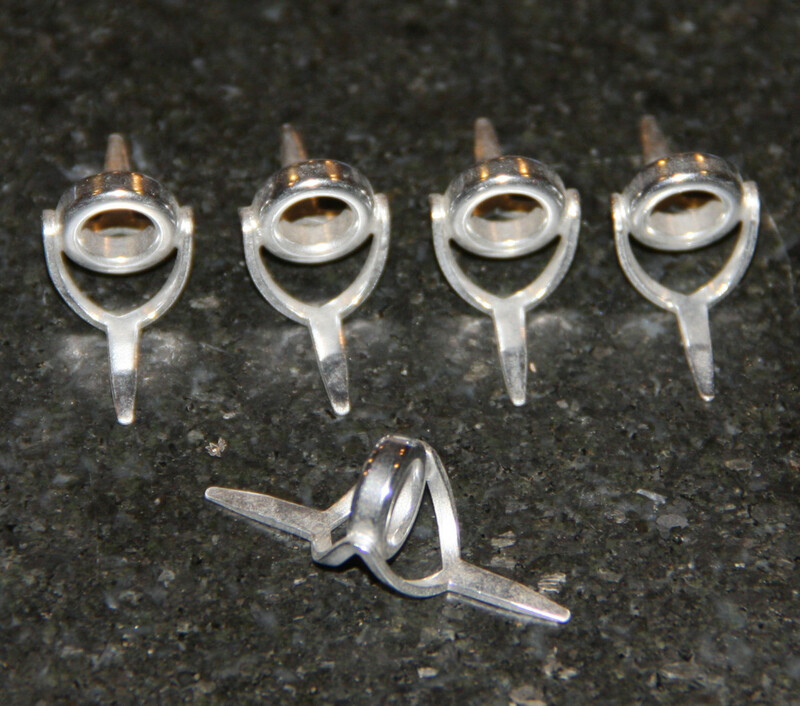 Ring: ~11mm OD x 6.5mm ID. Height: ~0.525″. Length: ~1.380″. As is common for guides of this era, the frames are formed from stamped sheet metal. The rings are probably stainless steel. The guides have been chrome plated. These would be a good deal at $5.00 each, but they’re on sale for less. Grab a pack!